What do you do after storm damage? Severe weather can have a lasting impact on your home and the trees in the surrounding landscape. Tearing winds and penetrating rains work together, softening soils and overturning trees. Lightning strikes generate heath that vaporizes water within the tree, causing wood to split and bark to explode. 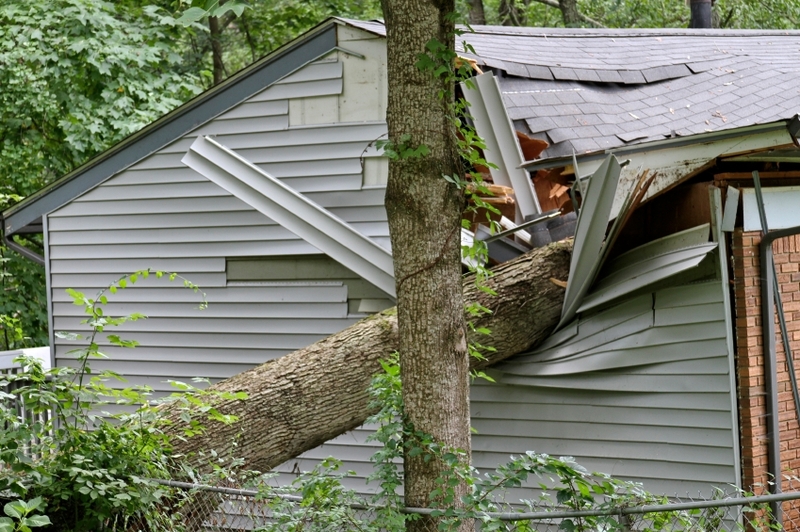 During a storm, the failure of part or all of one mature tree may cause significant damage to a property. What do you do after a storm damages your tree? How can you respond safely and quickly – getting your life back in order in a timely manner? Are at least 50 percent of the tree’s branches still intact?If you answered yes to these questions, there is a good chance for complete recovery. For assistance in evaluating tree damage, contact Complete Tree Care & Landscape, LLC today! Professional arborists have the experience and equipment needed to safely and efficiently remove or prune severely damaged trees and haul away unwanted woody debris. Many professional arborists choose to pursue certification through the International Society of Arboriculture (ISA). An ISA Certified Arborist has demonstrated a high level of knowledge and experience in tree care and continues to further his or her professional development through continuing education and training. A Certified Arborist can help you assess the extent of the storm damage caused by a storm and help you decide what action is appropriate.